The Agencies do not intend that intermediate small banks prepare a particular ‘‘needs assessment’’ solely for purposes of its CRA evaluation under the community development test. If intermediate small banks prepare business plans and market analyses that reflect community needs and opportunities, they may rely on such information, as well as other currently available information, when assessing community development needs in their assessment areas. One advantage of developing a Community Needs Assessment is that it will paint a picture of the “Performance Context” which is the basis for establishing performance standards applied under the various tests administered in a CRA Performance Evaluation. Even more importantly, as stated in the Federal Register a bank “may rely on such information (emphasis added) . 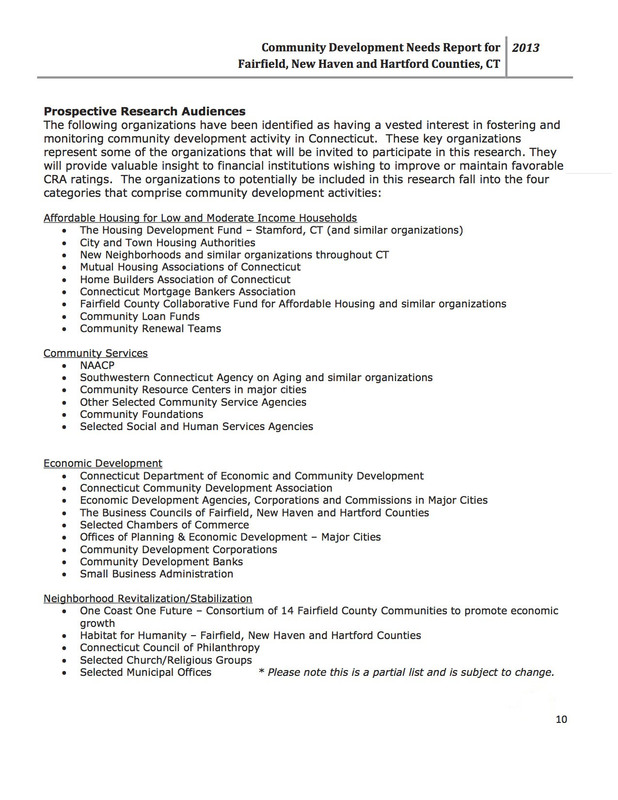 . . when assessing community development needs in their assessment areas.” Community Development activity and performance standards are some of the most vague areas within CRA. So a Community Needs Assessment will help to clarify the facts and performance standards pertaining to this very important issue. The very nature of a Community Needs Assessment lends itself to potential use in a bank’s market analysis and strategy as well as providing CRA compliance benefits. GeoDataVision’s Community Needs Assessment Package contains all of the foregoing plus market maps and an Executive Synopsis that summarizes the findings in the various reports and studies.